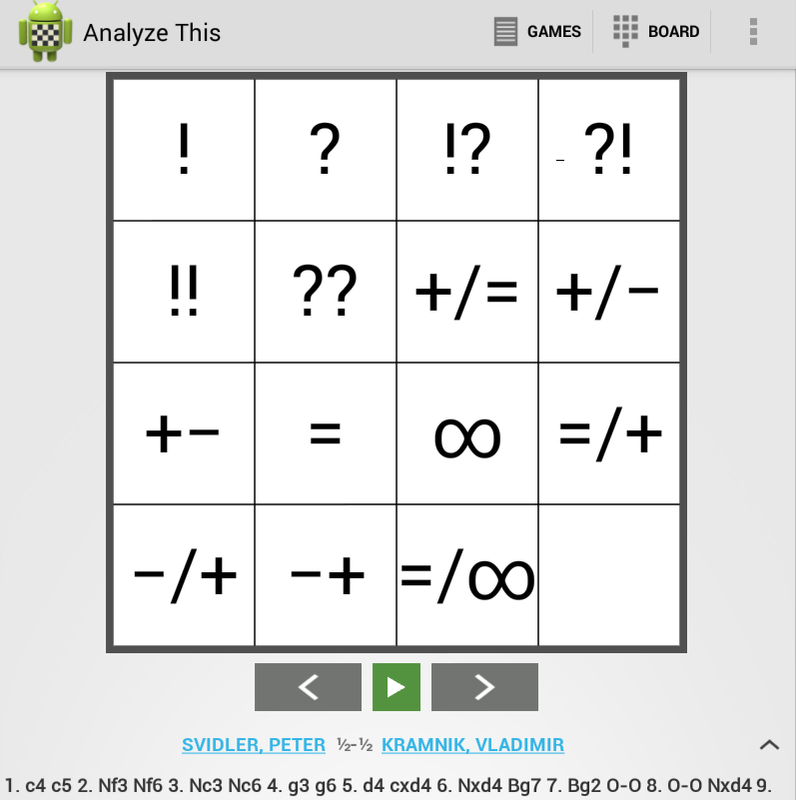 My Chess Apps: Analyze This v3.0!! 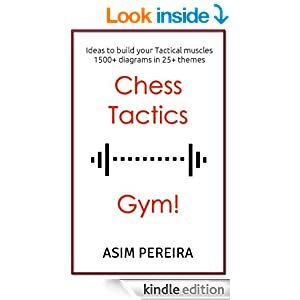 Lots of features and fun in your favorite Android Chess app! Analyze This v3.0!! Lots of features and fun in your favorite Android Chess app! Extremely happy to have released Analyze This v3.0 today. This culminates many months of work and I could not have been more happier than this. This release has lots of exciting features and I am personally very happy with it. Play against Mobile / Engine shootout [PRO Only] - Wonder why the GM resigned in his game? Now you can try that position and play it against the Engine. Or wish to sharpen your Endgame skills? Play it out against the Engine. You can start a different engine (or even the same engine) for the other side, and have the Engines play against each other and finish off the game! 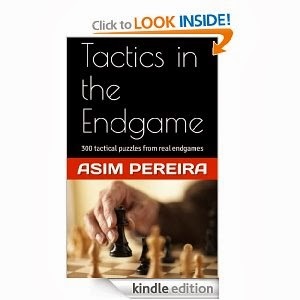 This can be a really powerful tool to practice endgames or certain winning positions and test your skills against the machine. Annotation editor - Add comments and symbols. You can tap on any other move and enter the comment for that move too. Makes it easier to quickly annotate a game. Quick Annotation Palette - For those cases where you simply want to add a symbol. Just double-tap any empty square on the board and quickly choose the symbol It cannot get easier than this! Promote variation - You can now promote sub variations from the Notation view. Auto-replay game [PRO Only] - Like to go through many master games? Then this is for you. Load your favorite games and let the app automatically move through the game. Player lookup via Wikipedia - Sometimes when I browse through PGNs downloaded from theweekinchess.com, I come across good games played by relatively unknown players. This feature makes it handy to lookup the player's profile (if exists) on Wikipedia. It is also a good way to check on your favorite players and their important statistics. Single tap to launch Notation menu. If you already have a move highlighted in the Notation view, then you simply touch it one more time to access the Notation menu (Delete Move, Promote variation, Annotation Editor) options. PS: The app has been thoroughly tested (as much as one person could!) and there may be some potential problems. Please drop me a note if you see anything odd! IMP: If you see some weird behavior after upgrade (over your existing version), its always best to uninstall and re-install again!